The International Indigenous Women’s Forum/Foro Internacional de Mujeres Indígenas (best known as FIMI, by its Spanish initials) is a network of Indigenous women leaders from Asia, Africa, and the Americas. FIMI’s mission is to bring together Indigenous women leaders, and human rights activists from different parts of the world to coordinate agendas, build capacity, and to develop leadership roles. FIMI encourages indigenous women’s participation in international decision-making processes by ensuring the consistent and serious inclusion of indigenous women’s perspectives in all discussions regarding human rights. 2018: In 2018 Channel made a grant to FIMI/ IIWF to increase support to Indigenous women with disabilities via grants, capacity building and through fostering cross-cutting linkages among all of FIMI’s programs. Channel funds will continue to support FIMI’s grantmaking arm, the AYNI fund. Ultimately FIMI aims to address the existing gap in the fulfillment of rights of indigenous women with disabilities, their exclusion and limited access to social services, participation and engagement with decision making in their respective communities. 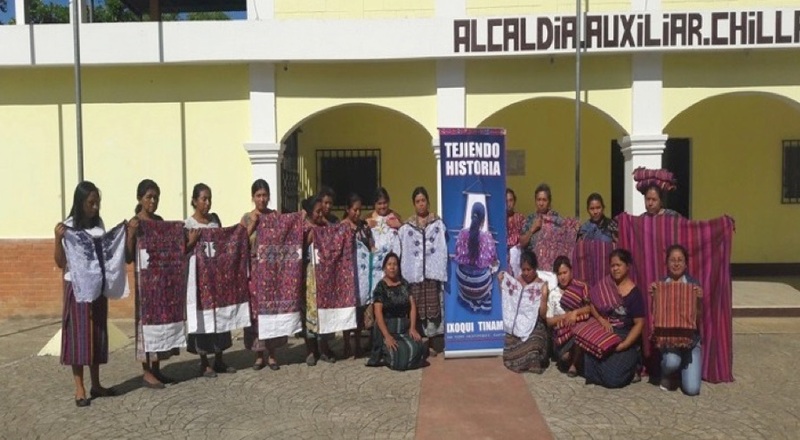 2015: Channel made a grant (through the fiscal sponsorship of CHIRAPAQ, Centro de Culturas Indígenas de Perú) to support FIMI’s Indigenous Women’s Fund (AYNI), their philanthropic and grantmaking arm and the August 2015 launch of their grantmaking cycle. 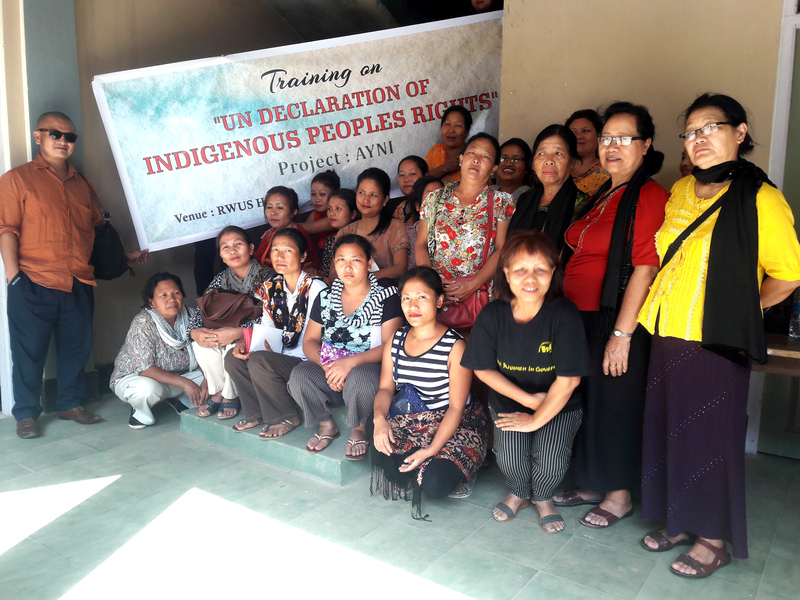 AYNI provides indigenous women’s groups around the world with support and capacity building through a competitive Request for Proposal process and through grants. 2013: Channel made a grant (through the fiscal sponsorship of CHIRAPAQ, Centro de Culturas Indígenas de Perú) to support FIMI’s Indigenous Women’s Fund (AYNI), their philanthropic and grantmaking arm, for monitoring and evaluation processes for their grantees including field visits, and for funds to help them include their grantees in advocacy processes in which FIMI is involved such as the UN Permanent Forum on Indigenous Issues, the 2014 World Conference on Indigenous Peoples, Cairo + 20 and Beijing + 20, among others. Also in 2013, Channel made a grant (through the fiscal sponsorship of CHIRAPAQ, Centro de Culturas Indígenas de Perú) to support participation of FIMI’s network of indigenous women from around the world in the World Conference of Indigenous Women: Progress and Challenges Regarding the Future We Want, Oct. 28-30 in Lima, Perú. The World Conference enabled indigenous women and youth from the seven regions of the world to be informed, reach consensus, and to establish a common, political statement as a world-level indigenous women’s movement. The general objective of the conference focused on the collective generation of key advocacy tools to ensure the validity and recognition of the human rights of indigenous children, youth and women at the different international processes such as Cairo +20, Beijing +20, Post-2015, MDGs, and the UN World Conference on Indigenous Peoples which took place Sept. 22-23, 2014 in New York. The World Conference of Indigenous Women concluded with a Declaration and a Plan of Action. 2012: Channel made a grant (through the fiscal sponsorship of CHIRAPAQ, Centro de Culturas Indígenas de Perú) to support the Indigenous Women’s Fund of IIWF/FIMI, to provide grants to indigenous women’s organizations in Latin America, Asia and Africa. In 2013, the Fund launched another call for proposals and aims to support, via grants, indigenous women’s leadership and strengthen institutions that advance indigenous women’s rights. 2009: Channel made a grant (through the fiscal sponsorship of CHIRAPAQ, Centro de Culturas Indígenas de Perú) to support the newly formed Indigenous Women’s Fund, the philanthropic arm of IIWF/FIMI, a grant-making body that will provide long-term, flexible funding for Indigenous women’s organizations as they respond to key political changes taking place locally, nationally, regionally and internationally. The Fund supports the Indigenous women’s movement, builds Indigenous women’s leadership and strengthens institutions that advance Indigenous women’s rights. Via grants, the Fund supports groups implementing programs that advance Indigenous women’s rights in one or more of the following areas: 1) Educational Empowerment; 2) Economic Empowerment; 3) Political Participation; 4) Institutional Strengthening. 2008: Through a contribution to the Association of Women’s Rights in Development (AWID)’s Movement Building Fund (intended to facilitate the participation of grassroots women leaders and activists from various social movements all over the world at the AWID Forum), Channel supported the travel and participation of several women from the International Indigenous Women’s Forum to attend the 11th AWID International Forum on Women’s Rights and Development, The Power of Movements. in Cape Town, South Africa on Nov. 14-17, 2008. With FIMI, Channel helped design and facilitate an interactive session called “Transformative Learning and Leadership: Feminist Voices from the Ground,” with indigenous women leaders from Peru, Bangladesh, South Africa and the Philippines for the 11th AWID International Forum on Women’s Rights and Development, The Power of Movements, in Cape Town, South Africa on Nov. 14-17, 2008. FIMI was chosen to be one of four women’s funds based in the Global South to manage grants from the Leading from the South Fund (LFSF) launched in January 2017 by the Dutch Ministry of Foreign Affairs. With a 40 million Euro investment over four years, LFSF represents the first bilateral partnership with a group of women’s funds each based in the Global South. Not only does LFSF represent a significant amount of new money for women’s rights movements to be managed by women-led organizations; it is also significant that the Dutch Ministry chose to partner with women’s funds as sole fund managers; and to send funding directly to the Global South instead of through North-based organizations. 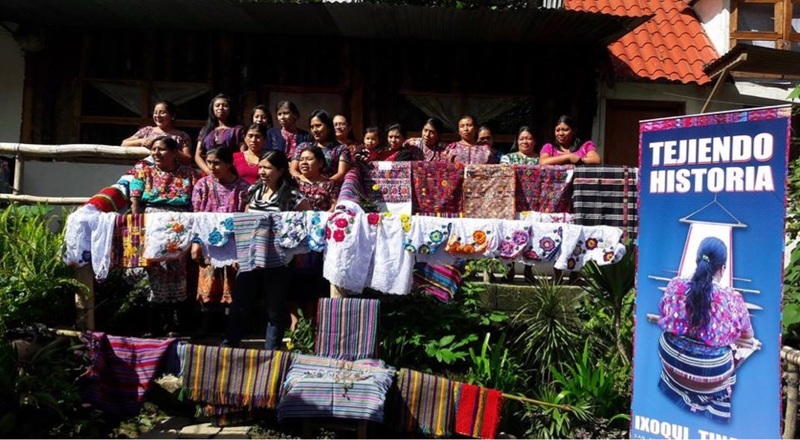 In 2013-14, the Indigenous Women’s Fund/AYNI funded 18 projects organized by indigenous women’s organizations for a total of US$90,000 awarded. 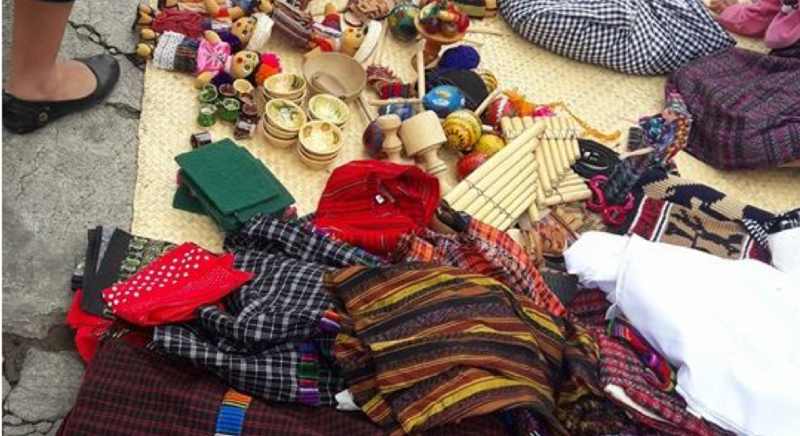 FIMI developed a Database of Indigenous Women’s Organizations in Africa and Latin America. The Indigenous Women’s Fund launched its first call for proposals in 2009-2010 through different organizations from the Americas, Asia and Africa. The selection prioritized projects that were innovative, sustainable, and promoted indigenous peoples’ “well being,” in many cases giving organizations their first grants. By gaining experience in resource mobilization, design, execution and evaluation of projects, indigenous women’s organizations develop and strengthen capacities in order to access to greater resources. To read more about the first round of 13 grantees of the Indigenous Women’s Fund, please download the report here.